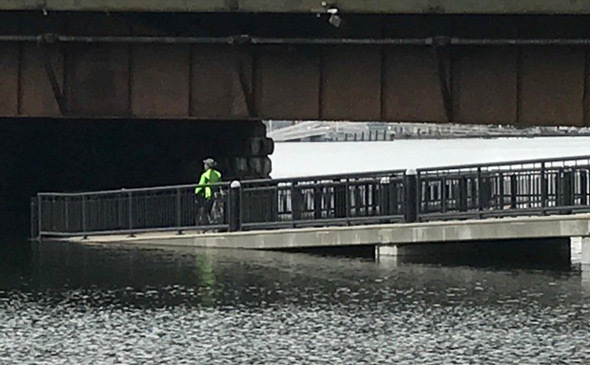 David Wean watched the tide come in under the North Washington Street bridge today. 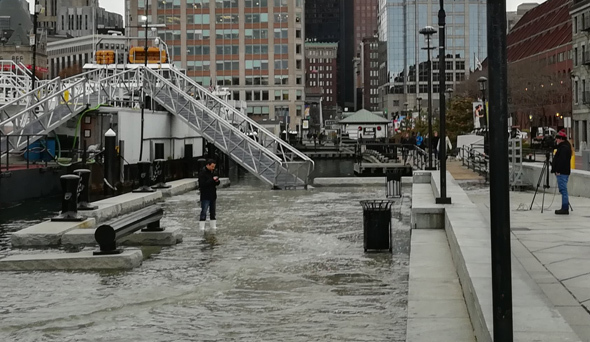 Specifically, seeking suggestions of T-accessible spots besides than the pavilion on Long Wharf to observe the king tides tomorrow and Tuesday. 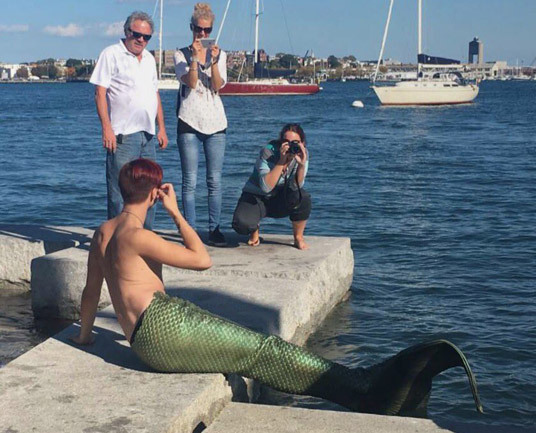 BostonDaniel was on hand at Long Wharf today for this merman sighting. The king of dives into the king of tides (Tuesday). 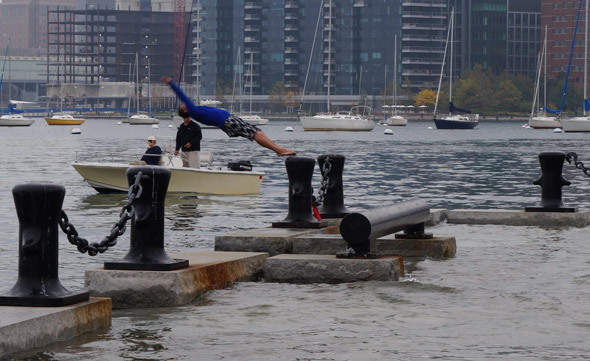 He dove off one of the giant bollard things. 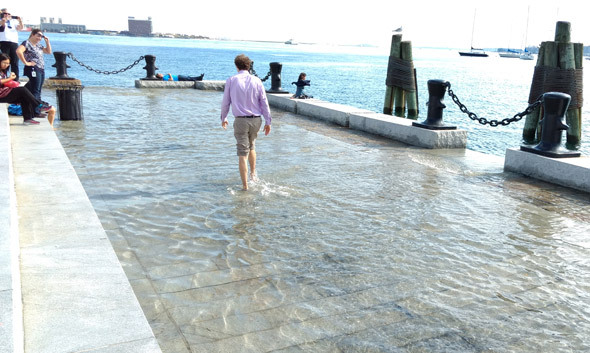 He took a running leap into the water. He dove backwards. Read more.